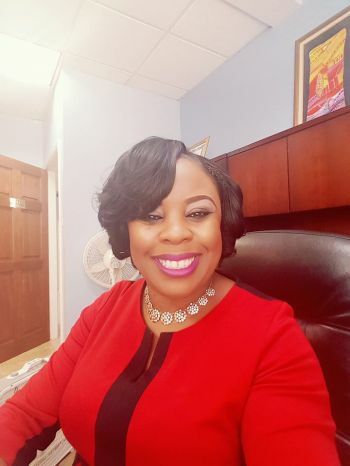 Lettsome was the final guest on the series: Virgin Islands 10 Most Influential and Inspiring Women with Karia J. Christopher on Channel 51 on CBN. The show was first aired on Tuesday March 7, 2017 and will be rebroadcast on Thursday March 9, 2017 at 8:00 PM. 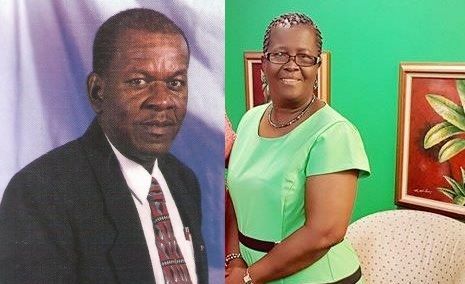 According to Mrs Lettsome, she kept a journal where she would often write down her thoughts particularly following the passing of Mr Birton H. Lettsome, a community minded man who loved helping people and pointing them to Christ, in February 1, 2005, and it was something she wrote that inspired her on how she could keep his memory alive. “When I was going through the journal, it was a long time I didn’t pick it up, I wrote something …my husband was such a wonderful person, inspired me as to how I can keep his memory,” she said. Lettsome explained that she retired as a school principal in 2010, and in 2011, she became inspired to use the second floor of her apartment for the cause. In her own words, she described it as a faith-based organisation with a playroom equipped with puppets, books, blocks, to name a few, and she has plans of turning a library into a museum with the many old photographs of her late husband throughout his life’s journey. The building is also equipped with a room for anyone who requires some alone time to pray, a kitchen, and for persons who need a safe place for their elderly relative, while they run errands, can do so as well. Lettsome disclosed that a club geared specifically for widows is part of her soon to be undertaking. “When I started first I felt led to work on the widows, widows were a soft spot for me and one time around Christmas time we had a Widows Day where we invited all the widows and we cooked food, and we had given them gifts, we had asked for sponsors and they had given them gifts and it was wonderful,” she reminisced. Lettsome informed that every Thursday, she along with other like-minded individuals, congregate at the House of Blessings and they would make calls to older persons and pray and sing with them, occasionally they would go to them and carry gift baskets to them. In addition, the group has been raising funds, to rise to the need of assisting the elderly. Lettsome mentioned one of their activities for fundraising was a comical show and a play and due to the great turnout, they are intending for it to be an annual event; however, the search for a new, bigger venue is on. The widow said even after his passing, people would meet her and tell her that they knew her husband and he had done good by them and in many ways she is reaping the harvest that he has sowed. "hope for the best, get ready for the worst and accept what god send"
WOMEN ON THE WHOLE ARE STRONG!! May his soul continue to rest in peace! What a wonderful woman. Karia, you out did yourself with this one. The perfect way to end the series with a nice humble woman who loves the Lord. Well Done! Excellent idea! What's not to like? RIP brother Letty! We miss you! I listened to this one,and I think it was one of the best one. I was deep into it. A woman of God,and that is the way it should be all times. The BEST show of the entire series, hands down. Karia know what she is doing, hype everyone up with the big controversial shows at the beginning and appeal to our compassionate side with the likes of Mrs. Lettsome at the end. Say what you want but that that girl doing the damn thang! well, we are feeling the pride! Awesome show, awesome ladies !!! A faithful and inspirational warrior and true believer, embracing with joy life's trials, tribulations and storms. Continue to persevere and keep the faith. Ed, feeling the bern. Our Wlliard Wheatley Primary (Major Bay Primary) classmate Valerie is a faithful servant and servant leader , carrying on the legacy of Birton Lettsome another classmate. Sis Valerie keep the faith and by God's grace may the House of Blessing fulfill its purpose.